Design your personalised iPad 2018 case. Your favourite picture on the Smart Cover. The perfect combination of protection and style. Why a personalised iPad 2018 Smart Cover? You are one of those people who use their iPad 2018 for almost everything? Reading, playing games, checking e-mails, and browsing the web? And all of this on the go? Then an iPad 2018 Smart Cover from GoCustomized is exactly what you need to keep your device in top condition. This personalised iPad 2018 case protects your iPad screen from bumps and scratches while also giving it a unique look. This Smart Cover attaches to your iPad with magnets. There is another magnet placed on the inside of the front cover which will immediately put your iPad 2018 into sleep mode when the Smart Cover is closed. Moreover, the Smart Cover is foldable so that it can be used as a stand which will be beneficial when you work on your iPad or even just to watch a nice movie. How to design a personalised Smart Cover? 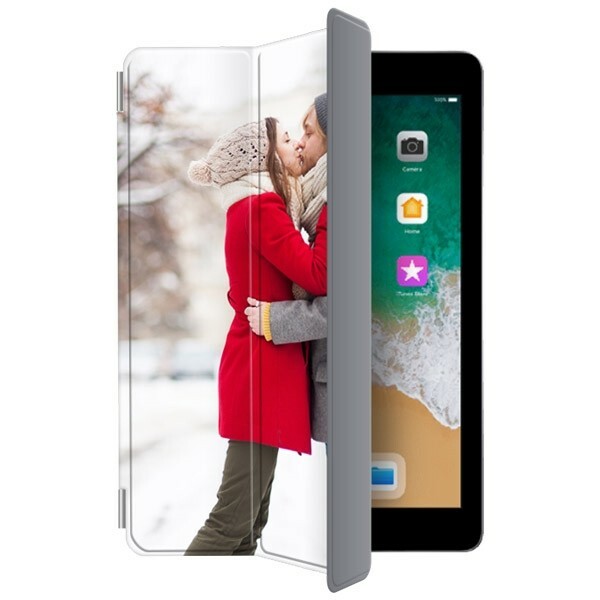 Thanks to our user-friendly customizer it is very easy to design a personalised iPad 2018 case. Start off by uploading one of your favourite images, photos, or patterns from your computer, tablet or smartphone. You can also choose to upload directly from Facebook or Instagram. Afterwards, you can adjust it by moving, rotating, and resizing it. To give your personalised iPad 2018 case the final touch you can also choose to add an important date or text to your design. There are plenty of fonts and colours to choose from! If you still need some inspiration you can also just use one of our premade designs. What happens after the order was placed? 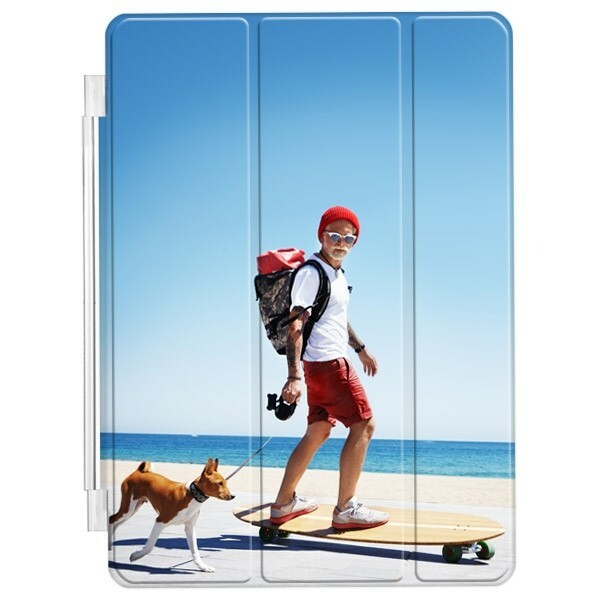 You are done designing your personalised iPad 2018 case? Great! Make sure you are satisfied with your design before placing the order. As soon as we receive your order we will make sure it will be produced and shipped within 24 hours to ensure you receive your Cover as quickly as possible. If you have any further questions regarding the Cover or the order process please contact our support team via support@gocustomized.co.uk. They will be happy to help you!